A clean look with exception AM/FM/WB & CB performance! 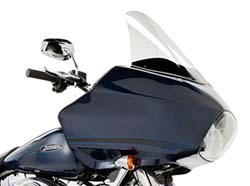 For a real clean look try these Hidden Antennas for the Electra Glide or Road Glide. 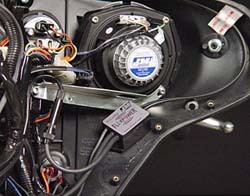 Riders who typically do not run with a Tour-Pak or have the detachable Tour-Pak, may prefer not to have an AM/FM/WB or CB antenna on the Tour-pak of the motorcycle. Some customizers may prefer the more uncluttered and stealthy look. The HA-1/2L or HB-1/2 each mount to the inside of the saddlebag, tour-pak or front fairing using an adhesive strip, tie wrap or Vecro strap. HA-1AR: An active antenna that out performs the factory antenna system while being hidden in the front fairing. Covers AM, FM, and Weather band. The system uses state-of-the-art construction and is protected from transient voltage and reverse battery connection. It has been extensively tested and benchmarked and no other product tested comes close to its performance. Package contains everything needed including extensive installation instructions. Fits 2014 & later models. HA-1A: Similar to above but for 2013 & earlier models. HA-1PR: The new Passive hide-a-way AM/FM/WB antenna is the best hide-a-way antenna on the market today, for all three reception bands of AM, FM and WB, to help you eliminate altogether the rear mounted antenna on your 2014 Harley Ultra or Street Glide. 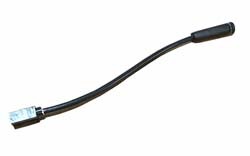 This new passive version (no 12v connection required) provides all of the great reception performance of our original design, but with the correct "FAKRA" style plug on the end of the cable, for direct connection to the 2014 to current Harley radio (either version). Proper tuning and adequate stinger capture area is far more important to reception quality for an in-fairing (hidden) antenna than trying to artificially amplify a less than ideal signal. Installation is a snap, as there are no wires to cut or splice. This antenna kit includes complete and detailed installation instructions. This unique in-fairing antenna is manufactured complete in the USA using only high-grade copper coaxial cable & stinger wire, for maximum durability and performance. HA-1: The HA-1 is an active antenna and uses dual active amplifiers to provide exceptional AM/FM reception. 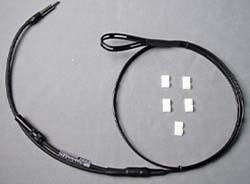 Cable for fairing, saddlebag or tour-pak mounting. Includes detailed installation instructions. HA-2: The HA-2 micro screen antenna requires no ground and provides exceptional AM/FM as well as Weather Band reception. Cable for fairing mounting. Includes installation instructions. HA-2L: Same as above but with longer cable for mounting in tour-pak or saddlebag. 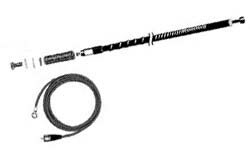 HA-3: Full 1/2 wave helical dipole antenna, hand tuned to resonace with special instruments & requires no ground. The HA-3 requires no power. Fits '96 to '13 model years. 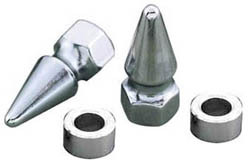 Fitment for model year '14 to current requires use of HA-A adapter. HA-A: Hidden antenna adapter for model year '14 to current. 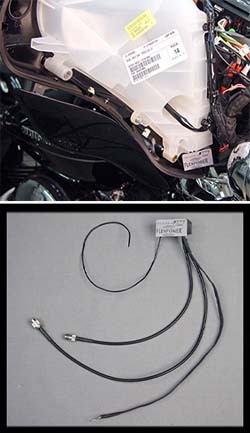 CBAU-14: The CB antenna system on the 2014 Harley Ultra, Ultra Limited and CVO Ultra, all suffer from the same issues; insufficient coax cable shielding inside the tail trunk, poor grounding at the tail trunk mounting points to the rest of the frame and very high SWR readings. This condition causes poor modulation and limited transmission distance when communicating over the factory installed 40ch CB radio. The CBAU-14 CB antenna system upgrade kit for the 2014 Ultras includes a custom made RG-58 coax harness replacement, to plug into the coax cable female jack under the back of the seat, then routes to the rear & connects to the CB antenna stud at the inside back of the trunk and the coax shield grounding spade to the metal trunk mounting plate in the bottom, under the inside trunk liner. 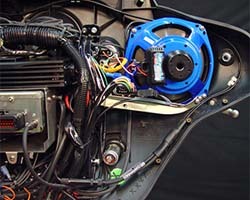 Also included are twin braided, hand soldered, copper grounding straps to connect to the underside tail trunk mounting studs, the rear portion of the frame and the frame mounting studs forward of the battery, as the Harley Ultra frame is split right behind the battery. 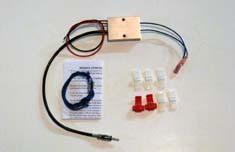 These easy to install coax pieces and grounding straps will dramatically improve the performance of your CB radio. This custom kit is manufactured in the USA using only high-grade copper coaxial cable, braided copper ground straps, & heat-shrink wrap for maximum durability and performance. Includes detailed installation instructions. 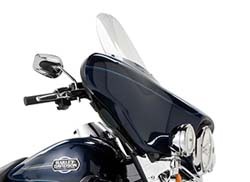 HB-1JR: New hide-a-way CB antenna is the best hide-a-way CB antenna on the market today, to help you eliminate altogether the rear mounted CB antenna on your 2014 Harley®. This in-fairing antenna is pre-tuned from our factory for the 27mhz CB radio band (no further tuning is required during installation) and is spec'd for the 2014 & later Harley Ultra or StreetGlide Fairing, with the factory Harley CB radio. Installation is a snap, as there are no wires to cut or splice and antenna wire lead is secured in the fairing with included double sided tape clips. 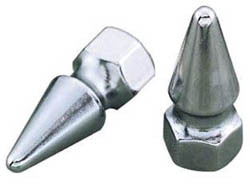 Antenna kit includes complete and detailed installation instructions. This unique in-fairing antenna is manufactured complete in the USA using only high-grade copper coaxial cable, custom wound load coil & stinger wire, for maximum durability and performance. HB-1J: Hide-a-way CB antenna is the best hide-a-way CB antenna on the market today, and will nearly equal the performance of your rear mounted CB antenna, to help you eliminate altogether the rear mounted CB antenna on your Harley®. This in-fairing antenna is pre-tuned from our factory for the 27mhz CB radio band (no further tuning is required during installation) and is spec’d for the 2006 to 2013 versions of the Harley Classic (BatWing) or RoadGlide Fairing with factory CB radio. Installation is a snap, as there are no wires to cut or splice and antenna wire lead is secured in the fairing with included double sided tape clips. Antenna kit includes complete and detailed installation instructions. HB-1: The 2' no ground plane HB-1 can be tuned and comes with 17' length of cable that is coiled along with antenna inside. Special sale item. HB-2: The 14" no ground plane HB-2 can be tuned and comes with 17' length of cable that is coiled along with the antenna inside. Special sale item. HB-AD: HB-1 and HB-2 Hidden CB Antenna for '06 and later model years w/Harmon-Kardon radio may require extra cable adapter. Special sale item. 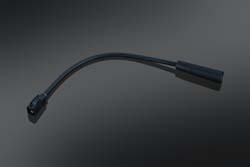 HB-14: AM/FM antenna adapter for Project Rushmore radios, model year 2014+. AC-18: Antenna mount cap that can be used to cover the antenna mounting stud on tour-pak and rail mounts, when our hidden antennas are used. 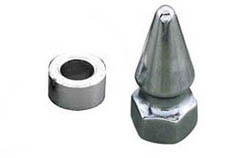 Includes chrome spacer for single antenna mounting stud. AC-28: Same as above but a pair for dual antennas. Products work great with motorcycle covers. Easy installation.